Hydrosols are the essential waters produced during the hydro-distillation of roots, barks, seeds, needles, leaves, flowers, fruits and resins. 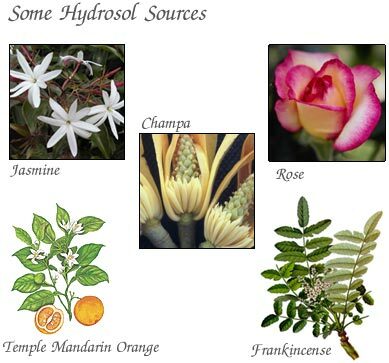 Hydrosols are made from aromatic and medicinal plants They have been used for thousands of years dating back to ancient Egypt and India. Hydrosols contain all of the properties and information that flowed through the plant at the time of harvest. It is merged with pure water which is a powerful healing matrix. Drinking the hydrosols creates space for us to better realize our true essence. They can stimulate the immune system and revive our bodies memory of healing. They are gentle reminders of the wholeness of life. Sipping hydrosols with intention in a circle with others connects us to our essence, the essence of each other and the plants. Celeste facilitates Sacred Sipping Circles. Please email her for more details if you would like to participate in, or host a circle of your friends. Hydrosols may be purchased at the circles or at a private session.